An important, but rather low key, international conference took place recently, in Nagoya, Japan. It was the Tenth Conference of the Parties to the Convention on Biological Diversity. Did you know that this year is – or has been – the International Year of Biodiversity? It has not been widely recognized – and we are already in November – although the Jamaica Observer sent a journalist to report on the conference, to their great credit. What is biodiversity? Well, it’s simple. It is life on earth. And we humans are, as you might have guessed, in the process of systematically destroying it, species by species, at a greatly accelerated rate. As the Petchary writes this blog, she looks out at the front yard. 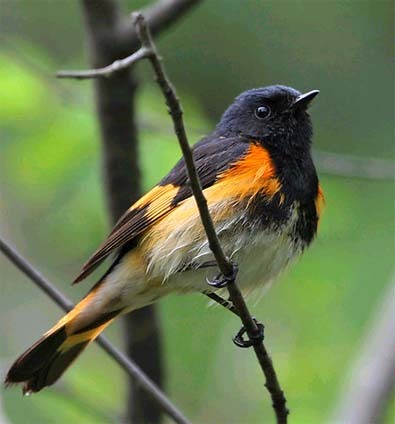 For the first time this autumn, a dazzling male American Redstart – a bright flash of painted orange and black – darts from the bushes, catching insects. He is one of the many “winter visitors” that come to the Petchary’s yard, somehow homing in on it year after year with that incredible built-in magnetic field, flying down south from some fairly northern parts of the United States. And finding our garden. One notes that the American Redstart is still abundant and one of “Least Concern” in his conservation status. He’s one of the lucky ones. 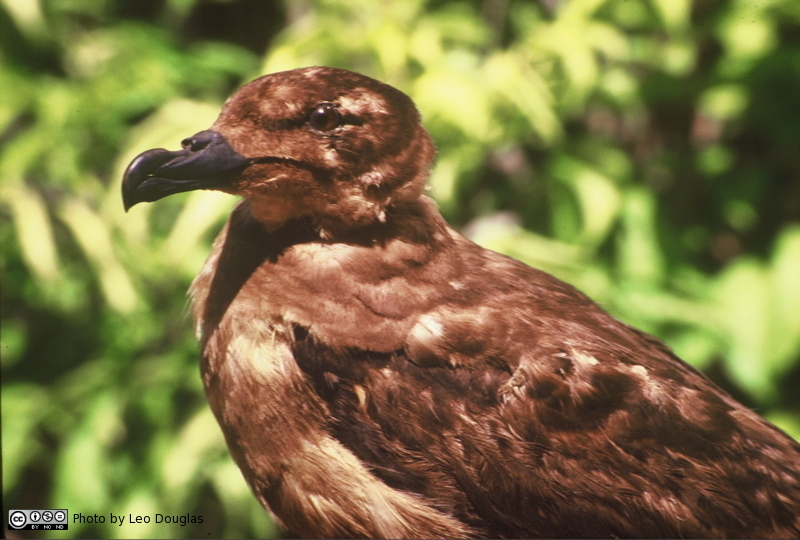 Other birds, like the Jamaican Petrel, are not so fortunate. It is “Critically Endangered,” and in fact has not been seen for so many years that it may possibly be extinct. This year, apparently, an expedition was planned into the Blue Mountains, where it may still be nesting. 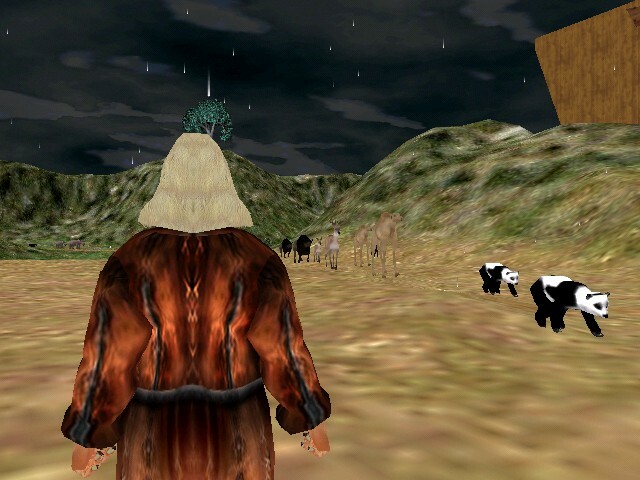 But the search since 1996 has been an empty and fruitless one. How sad for the scientists, endlessly peering through binoculars, climbing trees, searching the waves for a sign, a flash of wing, a flutter, a faint call, a feather. Not the most beautiful of birds, but... don't you notice that bleak look in the Jamaican Petrel's eye? He knows he's not going to be around much longer. You may well ask: Why should we humans care about the Jamaican Petrel, the Tiger (just 3,200 in the wild, and counting down), the Polar Bear, the Pacific Walrus, the Magellanic Penguin, the Leatherback Turtle, the Bluefin Tuna, the Mountain Gorilla, the Monarch Butterfly, the Javan Rhinoceros, the Giant Panda? (The World Wildlife Fund says these are ten of the most endangered creatures in the world). Because we know, instinctively, that our own little human lives would be the poorer if these remarkable, unique creatures were no longer sharing this planet with us. And other creatures, large and small, that entirely depend on their lives would also suffer, and become extinct themselves. And those creatures that depend on the creatures that depend on them… ?Well, you get the picture. It’s what they called, in a rather cheesy way, “The Cycle of Life” in the Lion King movie. But so much more than living and dying. It’s about us all being connected. Let’s try again. We humans, I mean. Because we know we are losing it. We are like one of those bad guys in the movies, who cling onto a parapet, legs dangling over a hundred-foot drop, and you know they can’t pull themselves up to safety because they don’t have the strength. Sooner or later, we are going to let go. The Petchary’s husband suggested, wisely if with tongue in cheek, that perhaps we should build an ark from now, and start collecting all the creatures threatened with extinction, and sail off on the next set of floods brought on by our increasingly turbulent Caribbean weather. The idea of the Petchary and family sailing down her street as the galloping rainwater flows downhill, a Magellanic Penguin under each arm, two Chicken Hawks perched on the bow, is an appealing one. 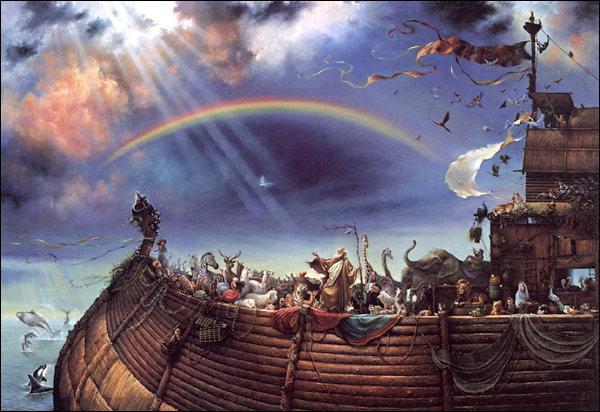 Noah was always one of the young Petchary’s favorites, (she grew up on a heavy infusion of the Old Testament). Did you know he turns up in the Qur’an, too? He is one of the five main prophets of Islam. He always appeared to be a humble, reassuring man – the kind who really could perhaps save the world, in his own quiet way. He and Mrs. Noah and their three sons, who all seemed like strapping lads. Pretty solid. Another brilliant blog, Petchary. Reminding us again of what we are losing — the best and most beautiful of our planet’s creatures, just because man wants more furniture or oil or housing schemes. Thanks for the beautiful photos and the timely reminder.